Every year, NCSU awards IDEA Grants to faculty for online course development projects. The instructional design team wanted to create a resource that would pull together best practices in course development and also allow IDEA grant recipients to connect with one another. 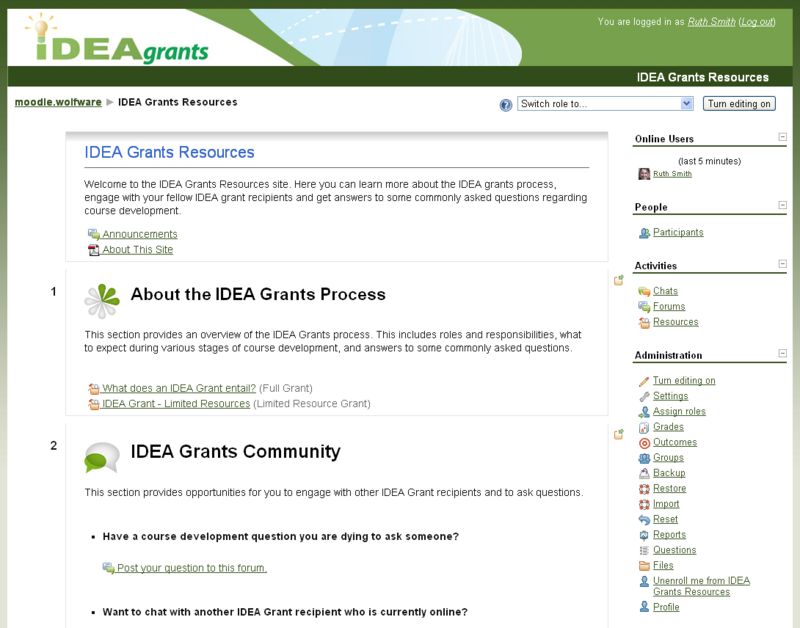 provides an overview of the IDEA Grant process and lays out roles and responsibilities. allows IDEA grant recipients to connect with each other and the instructional design staff via chat, discussion forums, and polls. contains information and resources related to various stages of the course development process. Resources are structured around a series of commonly asked questions and include helpful links, tips, examples, and documents.